Looking for the most creative ways to market your gift products? 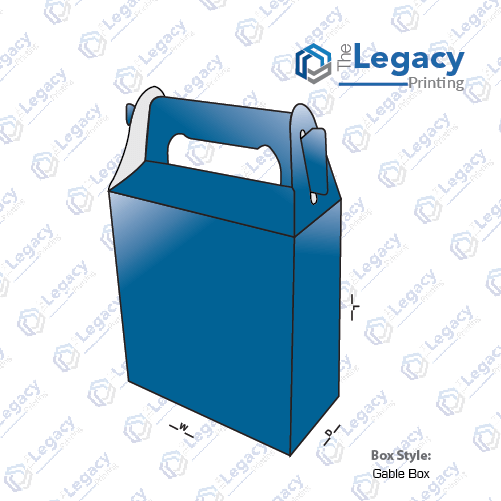 Order custom printed auto bottom gable boxes from The Legacy Printing. These all-purpose boxes can be made out of premium quality cover cardstock or kraft cardstock as per your requirements. Having gable auto bottom boxes created can help you fold them easily for storage and unfold within seconds when required. Not sure about the finishing, ask one of our live chat representatives and get complete guidance on types of finishing that’ll suit your product.